Google Cloud brings a chance to fully transform your business, CEO says. Google has laid out its plans to be the cloud platform of choice for businesses all across the world. Speaking at the company’s Next18 event in London today, Google Cloud CEO Diane Greene highlighted the significant role cloud can play in a business’ digital transformation. 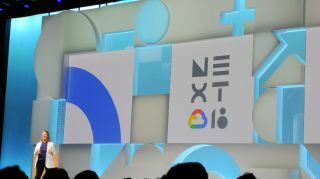 "Companies are working out their digital strategies and cloud is a key part of that...it's clear it's a major vehicle for digital transformation,” Greene told nearly eight thousand attendees at Google’s largest ever event in Europe. "Cloud is becoming a better way to run your IT...and a way to affect change in your company,” she added. “Companies are using their migration to the cloud to redefine their mission - you take another look at your culture, your processes." Greene highlighted the “incredible momentum” the company has seen across Europe, which saw five new Google Cloud regions opened recently, as well as a major new subsea cable connecting the continent to North America. Google has been heavily investing in all areas of technology in recent years, but Greene noted a particular focus towards AI and cybersecurity as what really makes the company unique. "If you think about it, AI is everyone’s biggest opportunity, and cybersecurity is everyone's biggest threat - and Google has the best of both of these,” she said. Greene noted that AI is, "such a powerful technology” but did realise that their were still hindrances to its development. “(AI) has so much power for good, but we see there are a lot of concerns,” she said, “So we're getting involved...to work out to how this should come out."